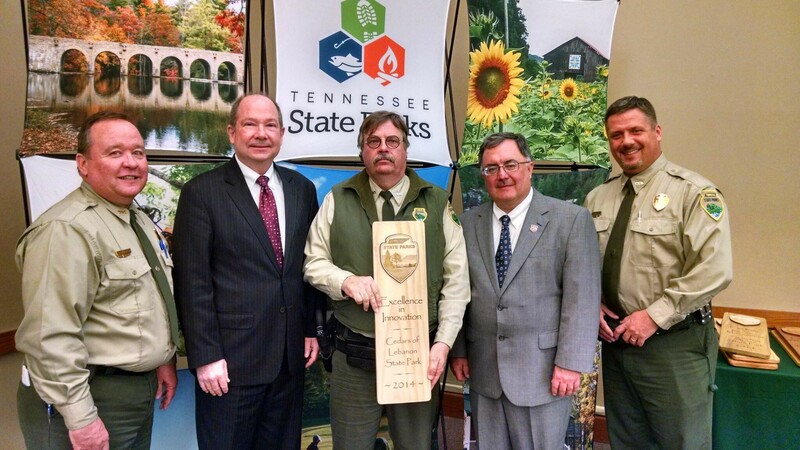 Congratulations to Cedars of Lebanon State Park on receiving the Excellence in Innovation award at the 2015 TN State Parks Management Meeting. Renovation began at Cedars of Lebanon’s Dixon Merritt Nature Center in 2013 and was completed this past December. 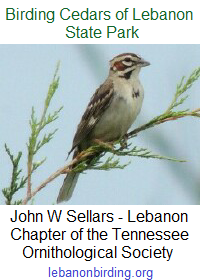 This project has been a collaborative effort between the volunteer efforts of the park’s volunteer camp hosts, the Friends of Cedars of Lebanon, the Wilson County Master Gardener Association and the direction of Ranger Wayne Ingram. The main portion of the Nature Center now has ample exhibits interpreting the cedar glades, native plants, cedar trees, native animals, reptiles and butterflies and now includes an outstanding cave exhibit complete with blind cave fish. This history room contains photographs and tools that depict the life and history of the areas early settlers and the work of Works Progress Administration (WPA) labor that constructed the park. It also includes exhibits depicting Baird’s Mill and its impact on the local community as well as a working model of the Limber-Jack Harrow manufactured by the A.E. Baird Co. of Lebanon. The butterfly garden not only provides visitors with living examples of native plants, but also provides visitors with the opportunity to observe native species of butterflies throughout the spring, summer and fall while providing a habitat that allows them to flourish. The partnership with the local community and volunteers has made this project possible. This entry was posted in Announcement, Volunteer Projects. Bookmark the permalink.